The separation of the civilian and military sectors is a hallowed tradition in free countries. Only in a police state is a cop’s job supposed to be easy. But in recent years, there has been growing unease among civil libertarians and politicians about the militarization of civilian police forces in the United States, which is supposed to be the world’s leading democracy. In post-9/11 America, the line between soldier and cop has blurred. This nettlesome issue came to the fore during the violent protests in the St. Louis, Mo., suburb of Ferguson, after Michael Brown — an unarmed black 18-year-old — was shot and killed by a police officer there in August 2014. The suburb’s population is mostly black, while its political leadership and police force are mostly white. In the turbulent weeks that followed, hundreds of people flooded the streets to protest Brown’s death, provoking a militarized response from police that awakened Americans to the extent of surplus Pentagon hardware that’s in the hands of local cops. The ensuing social unrest spread to other cities and sparked a fierce public debate over a two-decade-old Pentagon program called “1033,” which provides surplus military equipment to state and local police. In addition to rifles, grenade launchers, armored personnel carriers and other military gear, the 1033 program annually gives civilian cops millions of dollars’ worth of surplus military helicopters. The program is run by the Defense Logistics Agency, which is in charge of getting and disbursing supplies of all types for the military. Not surprisingly, the consensus within the airborne law enforcement community is that surplus military helicopters operated by police departments further the common good. 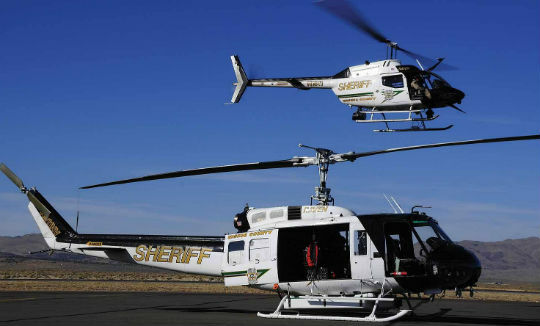 These helicopters, police leaders argue, save the lives of citizens as well as officers. However, we heard from civil libertarians and helicopter police commanders who also voiced a few caveats. Below, we examine both sides of the issue. The U.S. Department of Defense (DoD) 1033 program allows the transfer, without charge, of excess DoD property to law enforcement agencies (LEAs). Equipment, vehicles and helicopters valued at about $5.4 billion have been distributed since 1033 began in 1997. As of 2015, roughly 8,000 local law enforcement agencies have participated in the program; material worth $449 million was transferred in 2013 alone. The most commonly obtained item from the 1033 program is “general equipment” (which may include such items as office furniture and computers); the most common type of aircraft by far is rotorcraft. Since 2006, 1033 has distributed 616 aircraft, most of them helicopters. Criticism of the program is bipartisan and not new. Notably, in 2003, the Office of the Inspector General within the U.S. Department of Defense issued a report on 1033 that pinpointed fraud, waste and abuse. But it wasn’t until Ferguson that nationwide attention was focused on the program. The American Civil Liberties Union (ACLU) captured many of the concerns surrounding 1033 in a 2014 report titled War Comes Home: The Excessive Militarization of American Policing, which argues that 1033 is helping turn police departments into paramilitary forces. Even as police departments became increasingly militarized, the Federal Bureau of Investigation reported that violent crime in the U.S. was close to a 40-year low. According to ALEA’s Dan Schwarzbach, U.S. police departments are predominantly receiving military versions of the Bell 206 through 1033. These aircraft are mostly used as surveillance and observation platforms. Spurred by Ferguson, two Congressional committees — the House Armed Services Committee and the Senate Committee on Homeland Security and Governmental Affairs — called hearings on the 1033 program. In May 2015, that Law Enforcement Working Group provided a report containing its recommendations pursuant to Executive Order 13688. The report established a list of “prohibited” equipment that should not be authorized for LEAs to acquire via transfer from federal agencies or purchase using federally provided funds. The list included “weaponized aircraft, vessels and vehicles of any kind,” as well as tracked armored vehicles, firearms and ammunition of .50-caliber or higher, grenade launchers, bayonets and certain camouflage uniforms. Additionally, the report created a “controlled equipment list” including equipment that “has significant utility for state, local or tribal law enforcement operations.” Fixed- and rotary-wing manned aircraft and unmanned aerial vehicles (UAVs) are included on this list, which LEAs may continue to acquire through federal programs. Most controversially, the Department of Defense began recalling equipment on the prohibited equipment list, including tracked armored vehicles, grenade launchers and bayonets. This prompted complaints from some lawmakers and from the National Sheriffs’ Association (NSA), who have pointed to a high-profile mass shooting in San Bernardino, Calif., on Dec. 2, 2015, as evidence that LEAs should continue to have access to items on the prohibited list. But beyond tighter control of bayonets and grenades, did much really change? Not really, says the airborne law enforcement community. Dan Schwarzbach, executive director and CEO of the Maryland-based Airborne Law Enforcement Association, gave his group’s take on Executive Order 13688 and its ramifications so far. 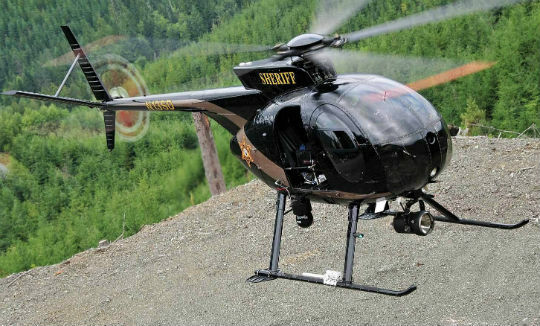 Utility helicopters distributed through the 1033 program have allowed some law enforcement agencies to expand their public service capabilities to missions such as firefighting and search-and-rescue. Capt. Don Roby, formerly of the Baltimore County Police Department, echoed Schwarzbach’s assertion that Executive Order 13688 doesn’t substantially alter the picture for airborne police. “There’s less there than meets the eye for us,” he said. Military Helos: Help or hindrance? Should small-town cops get their hands on M-16s, grenade launchers and mine-resistant vehicles? 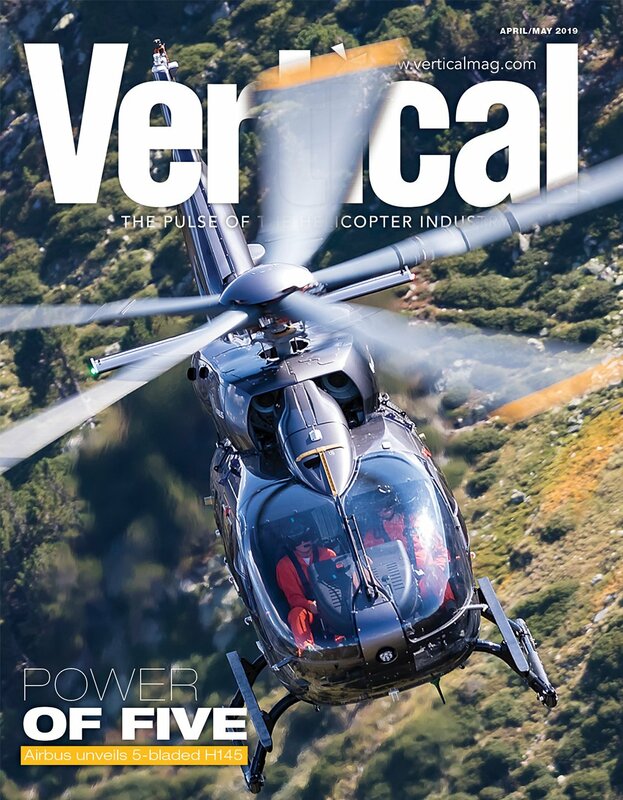 That question is not within the purview of this article; our focus here is on helicopters. Although weaponized aircraft are on the prohibited list that resulted from Executive Order 13688, the DoD isn’t confiscating any Apache attack helicopters as a result, because such aircraft were never distributed to LEAs in the first place. 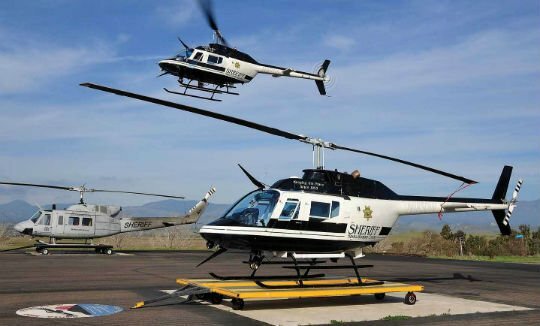 Dan Schwarzbach said that U.S. police departments are predominantly receiving either OH-58 Kiowas or military versions of the Bell 206, with a smattering of UH-60 Black Hawks, UH-1 Hueys and OH-6 Cayuses. Many of the aircraft are Vietnam War vintage. In fact, the military surplus helicopters being acquired by law enforcement agencies through the 1033 program are often significantly less capable than modern, high-performance aircraft acquired on the commercial market, which many LEAs prefer for surveillance and SWAT support. Consequently, military surplus helicopters may have only marginal bearing on the issues of greatest concern to the ACLU and other civil libertarians. 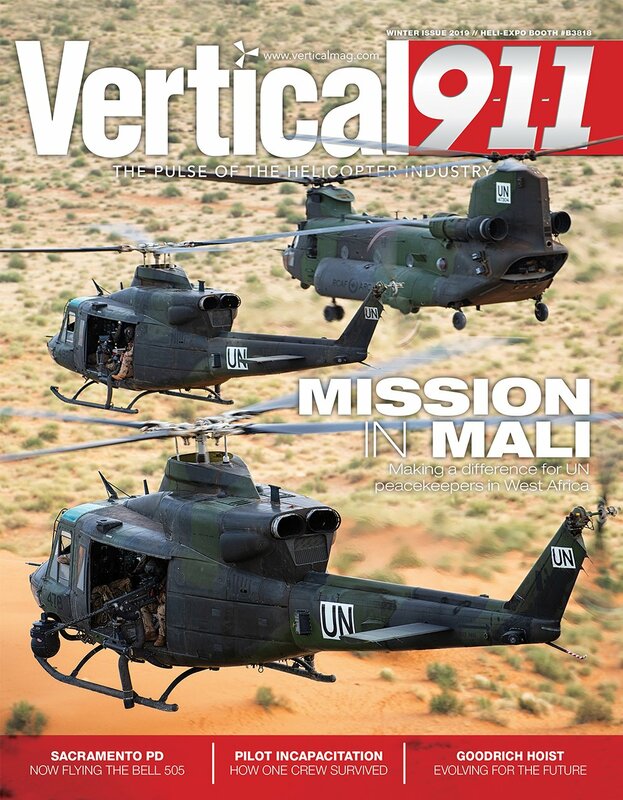 This correspondent spoke with high-ranking and influential airborne police leaders about whether the helicopter aspect of 1033 is a public benefit or menace — and they weren’t shy in defending the program. “These concerns about civil liberties are completely overblown,” said Captain Kurt Frisz, St. Louis County Police Department. Frisz has considerable credibility on the issue; he was the man in charge of all SWAT operations and air support during the Ferguson upheavals. Frisz also pointed out that the armored personnel carriers and other equipment that people saw on television didn’t even come from 1033. “We bought them retail, directly from the OEMs, and they’re expressly created for civilian police department use. What’s more, they’re defensive and not offensive,” he said. Schwarzbach underscored Frisz’s point that military surplus helicopters are for defensive purposes. In addition to his leadership duties at the ALEA, Schwarzbach serves as a helicopter pilot with the Houston Police Department and has 3,800 hours of helicopter flying time under his belt. The cost-benefit analysis with surplus military helicopters is a nuanced one. Even if law enforcement agencies can acquire aircraft with no out of pocket expense, those aircraft still need to be refurbished, equipped and maintained. “These helicopters aren’t armed, they’re platforms,” Schwarzbach pointed out. “Police forces aren’t using the aircraft for aggressive purposes. They’re for situational awareness. Certainly, when images are broadcast on television of local law enforcement on the streets in battle garb, I can understand why people are concerned about that. But I also understand the times that we live in and the continual threat to neighborhood and national security.”Schwarzbach said fears of military helicopters being misused by police forces are exaggerated and fueled by paranoia. He insisted that the 1033 program is beneficial for not only airborne law enforcement but also taxpayers. Not such a great deal? There’s also the concern that “free” is not really free, after all. Case in point: The Newark Police Department in 2005 received two 40-year-old Vietnam-era OH-58A Bell Kiowa helicopters from the Pentagon, one to fly and one for spare parts. Problem is, the cash-strapped city spent more than $2 million to refurbish and repair the aging Kiowa. 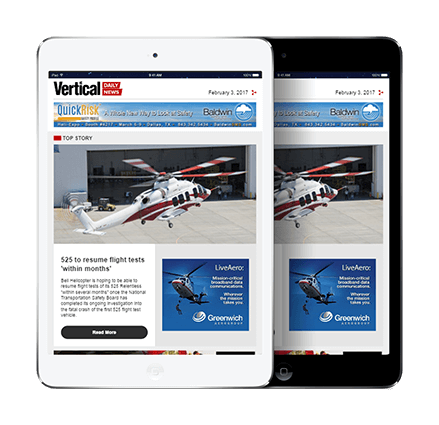 The helicopter came under critical local and national press scrutiny in 2015 and at last report the aging aircraft was rarely being used. Schwarzbach countered that the cost-benefit analysis with surplus military helicopters is a nuanced one. Roby said these surplus helicopters are effective at responding to calls, surveillance, searches, search-and-rescue, crime and crash scene photography, fire service work, pursuit management and situational awareness. “Very few police departments use these surplus military helicopters to project lethal force,” he asserted. Roby also pointed out that 1033 is a broad program that includes more than just helicopters — and the allowed use of these aircraft is not unfettered. Roby noted a recent event that he views as unfortunate. Effective Dec. 31, 2015, the liaison between the Pentagon and airborne law enforcement was eliminated due to federal government cutbacks. While many aircraft distributed through 1033 are of Vietnam War vintage, they can still serve useful roles for agencies that are prepared to operate and maintain them. 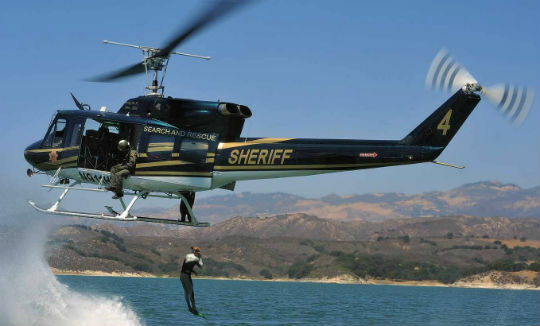 James DiGiovanna, chief executive officer of the Public Safety Aviation Accreditation Commission, an affiliate of the ALEA, is a retired helicopter pilot/captain with the Los Angeles County Sheriff’s Department. He served as commander of the department’s Aero Bureau for 17 years and he’s also a retired U.S. Army Aviator Colonel. With these impeccable credentials, DiGiovanna is considered the “go to” guy for any agency or person who seeks to better understand 1033 as it relates to helicopters. Not surprisingly, DiGiovanna strongly asserted that 1033 is a boon for law enforcement — and for the public. DiGiovanna bristled at the notion that police misuse these helicopters to terrorize the populace. 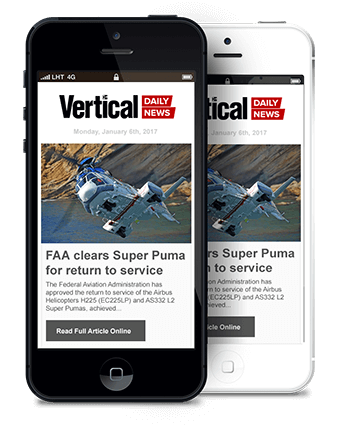 “Aircraft aren’t issued to agencies for dubious reasons; they’re released to protect and serve people,” he said. DiGiovanna conceded, however, that one critical point is well taken: Some police agencies aren’t sufficiently trained to operate these aircraft. He noted that legislation is now pending in Congress to mandate training and certification for police to use these aircraft. 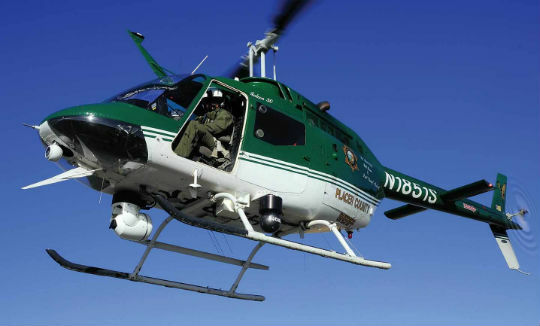 As part of this legislation’s mandate, his public safety committee would provide standards that any police agency must first comply with to qualify for 1033 helicopters. However, as of this writing, this proposed bill is languishing in committee. “This bill, HR 139, isn’t going anywhere and besides, 13688 makes it a moot point,” Schwarzbach said. That said, one limitation of 13688, DiGiovanna asserted, is that it doesn’t require verification that the police agency has conducted the necessary training. “HR 139 would implement federal review and verification, and that’s a higher standard of safety,” he said. He said that he’s now working to get HR 139 reintroduced in the next Congress. DiGiovanna added that police agencies must go into the 1033 program with their eyes wide open and conduct due diligence, to realize what the costs are to train personnel and operate and maintain these aircraft.